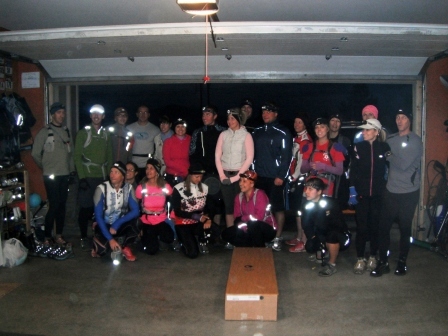 On Wednesday October 26th we launched the winter trail running clinic with P.A.C.E. Sports Fitness. It appears we have another incredible group of people who have chosen to train with the P.A.C.E. team. It was great to see some more new faces and always humbled by the amount of returnee's. The concept of this clinic is simple... maintain the endurance fitness we have all worked so hard at all season long. Not only will it help us have a head start on our spring race or fitness goals, it is a proactive approach to staying injury free and running stress free over the winter. Well, that and let's face it... it's nice to have some additional motivation and social support of a group this time of year. The other focus is core conditioning. Each week I email out a video filled with balance, core, hips and/or glute work for athletes to work into their personal schedules. It comes with guidelines and goals each week, so athletes are encouraged and motivated to spend some time working on some strength. Aside from the 'training' aspects of this clinic I think the best part is we get to run at night with our headlamps!! I love night running and how strong you feel on the hills and the excitement of being out in nature when it's dark. I am really excited to be out running this year too because last year I had to undergo major surgery which had me in the hospital for 1 week and off ALL activity for another 5 weeks. It was a hard way to start the New Year, coming off 6 weeks of inactivity and recovery as my real focus during that time. As I reflect on that time in my life I see how far I have come. How hard I worked on building my endurance and strength back this year and more importantly I am reminded on just how important a 'positive attitude' really is. 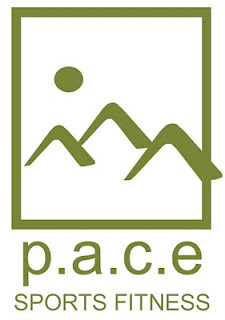 For those of you who don't know what P.A.C.E. stands for... (letting my cheesy side out tonight) "Positive Attitude Changes Everything." A friend of mine helped me with the meaning when I first went to register for my business name and with each passing year even I can see more and more, the truth that meaning holds. Not only for me... but those I coach too. It's incredible how our outlooks and attitude can alter our performance and/or training outcomes. And really, more importantly, our quality of life.